Seminyak is located on the southern end of Bali and is known most for its gorgeous gray sand beaches, high-end shopping, great restaurants and clubs, and incredible sunsets. It’s definitely one of those spots that seems too good to be true. 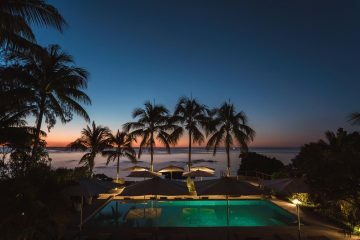 Amazing surfing conditions, perfect weather, and an abundance of luxury spas make it the type of place that attracts people from all over. What’s most amazing about this place though, is that you can stay in an amazing private villa for around $100 a night or less! Check out this list of Seminyak’s best villas to find the perfect place to stay during your next visit. These villas are on the more expensive end but they’re totally worth it, especially if you’re traveling with friends. The single room villa fits two, while the 3-bedroom villa can house up to 8 guests. If you’re with a small group, it suddenly becomes super affordable to have luxury accommodations. Each villa features its own private pool, and the beach is just a 3-minute walk away. Hard to beat! This place is set back outside of the main town a bit and is the perfect little oasis from the hubbub of the city. Rooms open out onto cute terraces with private plunge pools and are surrounded by gardens and greenery, giving it a feeling of seclusion and privacy. The one-bedroom villas are perfect and romantic for couples, but also feature sofa beds in the living area if you’re traveling with others. Beautiful four-poster beds sit on top of cool hardwood floors in these villas. The rooms open out onto private patio areas with plunge pools. The architecture and design of this resort make each villa seem like your own mini palace. Greenery and plant life surround the pools, complete with waterfall features, making for an environment you’ll never want to leave! 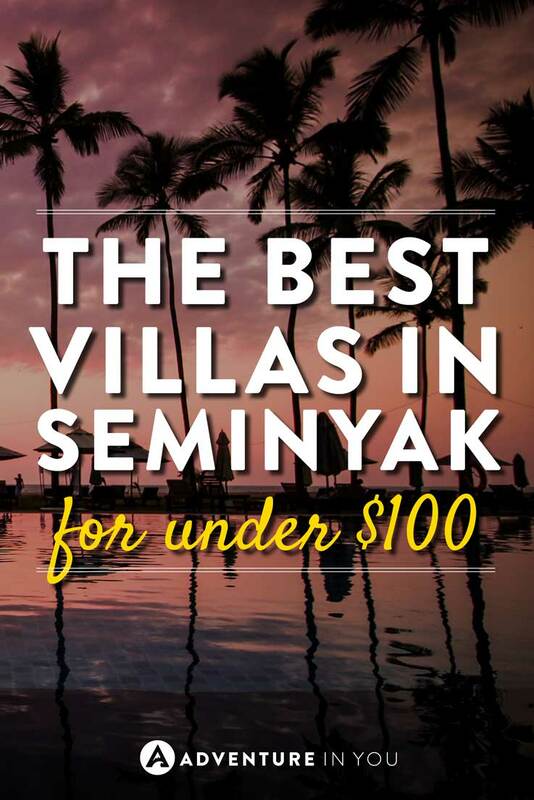 Trust me, this is one of the best Seminyak villas for this price range. One of the great things about these villas is that they’re located close to everything you could want. The busy Oberoi Street with tons of shopping and dining options is close by, as is Seminyak Square. But despite having bars and restaurants nearby, guests consistently note that their stay here was quiet and tranquil. In addition to the close amenities of the city, the beach is just a short walk away, too! The Villas at Danoya feel a little more substantial than others in the area. While they still have the tropical paradise vibe, they feel a little more like a luxury hotel room. The villas are well-furnished with ample seating areas, spacious bathrooms, and even a kitchen area. Each villa also features a private pool and garden area, ensuring perfect privacy during your stay. The spacious rooms of these Seminyak villas open out onto private pool and patio areas. Four-poster lounge beds with mosquito netting are ideally placed for poolside relaxing in the afternoon. The beach is just a six-minute walk away, or if you prefer, you can rent bicycles here for easy exploring around the town. There are even on-site massage services for the ultimate relaxation experience during your stay! You’ll have to watch your step at this Seminyak Villas because the private pools are literally right outside your villa door (but don’t worry, there’s more than one door)! Private pools feature sun loungers on the pool deck, which is lit at night to enjoy a relaxing evening swim. The villas themselves are modern and bright, decorated in clean whites and blacks. The on-site restaurant accommodates to special diets, which is a nice perk, too. These Seminyak villas at Villa Lalu have a very traditional feel to them with rooms featuring bamboo furnishings and native artwork. The villas are surrounded by lush greenery and garden paths, giving it a feel of tranquility and seclusion. Perfect for a quiet getaway. The great part about it is that shopping, dining, and the beach, are just a short walk away, so you really have the best of both worlds. 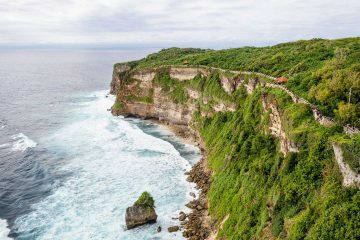 Editor’s Note: Heading to other places in Bali? 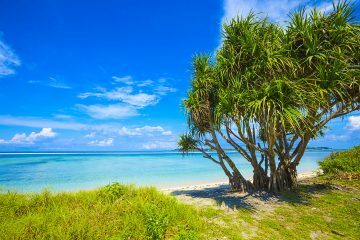 Check out our other best Bali villas article to help you find the perfect place to stay! While these villas don’t offer private pools, there is a huge outdoor pool available and a hot tub! The pool is expansive and surrounded by beautiful trees and a stone lounge area. The villas are some of the more spacious on this list, with huge Jacuzzi tubs, full kitchen areas, and ornate stone embellishments. They feel super luxurious! The location is a bit outside the main town, but at $45 a night, it’s hard to complain! These villas feature beautiful hardwood floors and accents, traditional stone tiling, and a simple and clean design. Private plunge pools outside the rooms are great and even have little waterfall features, but the main outdoor pool is by far the highlight. An expansive, multi-leveled pool, it’s surrounded by plenty of greenery and lounge seating. There is also a free shuttle service from the villas to the main town area 5-minutes away, making it easy to explore the area without hassle. These villas have a sleek and modern feel, much more than a lot of others in the area. Cool black and white furnishings are complemented by bright pops of color from artwork and room accents. The private plunge pools are simple but nice and offer a bit of seclusion. If you are traveling with family or friends these villas are perfect, since they can comfortably fit 4 people. Considering that it’s less than $100 for the night, luxury becomes super affordable when you’re with a couple other people! These villas are modern and well-equipped. The private pools feature big lounge beds that are covered (and lighted at night) for easy relaxing and swimming. Located in the heart of Seminyak, it’s perfectly situated for shopping and exploring, and is just a short walk to the beach. Despite being so close to everything, the villas actually stay pretty quiet and have a secluded feel to them. The villas at Hi Villa SooBali are pretty unique and is one of the most “instagrammable” places to stay. From the outside, they look like funky little huts, and on the inside, they open to a world of color. Exposed brick, reclaimed wood, and bright accents give off the feel of a cozy beach house more than anything. The rooms all feature private plunge pools outside with plenty of seating and lounge space. Six nights a week you can catch live music at the Hi Bar, while lots of other great bars and restaurants are just a short walk away. If you’re in search for a quaint Seminyak villa, don’t go any further. Looking for more options on the best Bali Villas? Here are a few of our other villa articles in different areas and categories. 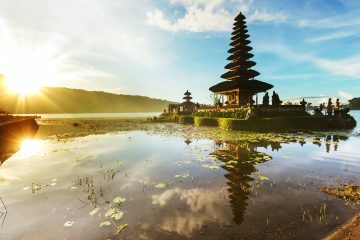 Hopefully, this will help you find an awesome place to stay while in Bali! Very attractive private villas. Good Luck!